Divine pleasures on Pedieos gorge – Mahairas monastery hike, 28 Nov. There was a large turnout, including several newcomers, on Saturday 28 November, on a sunny outing along Pedieos gorge to Mahairas monastery. Strollers discovered untapped strengths and enjoyed the 4-hours hike, the scenery of pine and other trees, the cyclamen flowers hiding under the trees, as well as our rich conversations and the monastery visit. 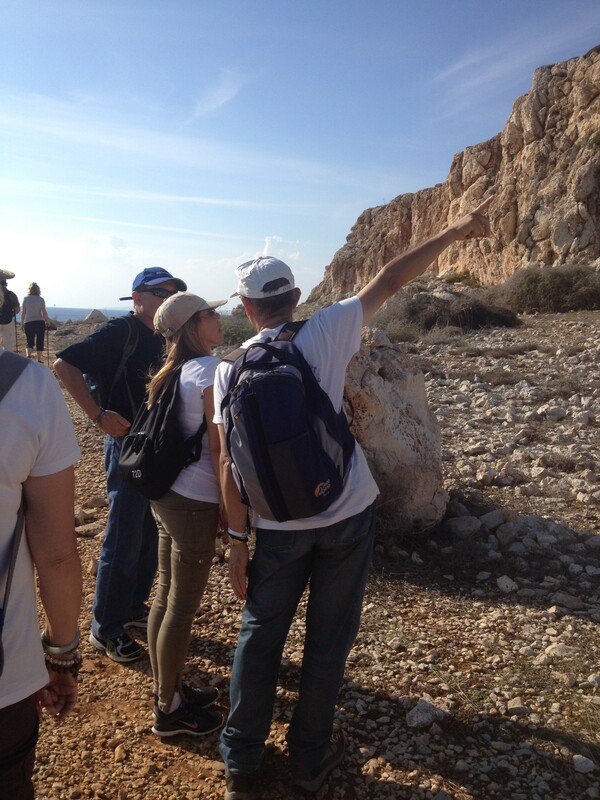 Compliments to Christos for leading the walk and to Marina for the photos. Join us on 6 Dec. at Asinou. A Cheerful Experience – Troodos, Artemis 22 Nov.
A large group of Strollers enjoyed the pleasures of Artemis, the very popular trail on Troodos, and a rewarding buffet lunch on a bright Sunday 22 November. Compliments to Amanda, our walk leader, for taking good care of this excursion. Compliments to Amanda and Alex for the photos. Join us on 28 Nov. on Pedieos gorge to Mahairas. Kornos new hike 14 Nov.
“Εμείς γι’ αλλού κινήσαμε γι’ αλλού, κι’ αλλού η ζωή μάς πάει…” are the words of a very sweet Greek song. 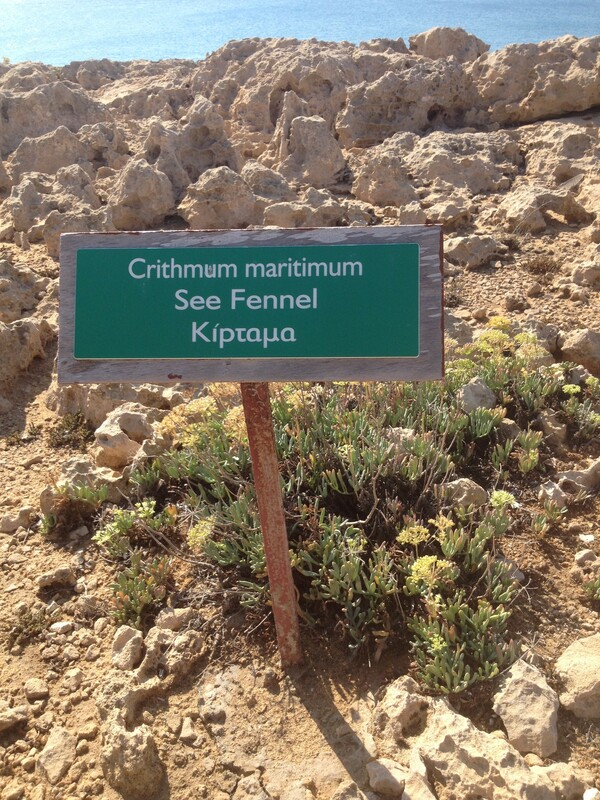 Loosely translated, they tell ‘we set off for one path, but life did not happen as we desired’. This summarizes the hike of Saturday 14 November; under a bright sun, which was brighter than desired, we hiked a different path than planned, at a tangent. The path we walked turned out to be rather more interesting, since it was along hills with pine trees. The Cyprus Strollers welcomed three new members, had a good time and thoroughly enjoyed our picnic at the Kornos picnic site. See you on 22 Nov. on Troodos, Artemis. Fantastic Outing – Troodos, Atalanti 8 Nov.
Sunshine, seaside and a pirate boat – Sea Caves hike 31 Oct. 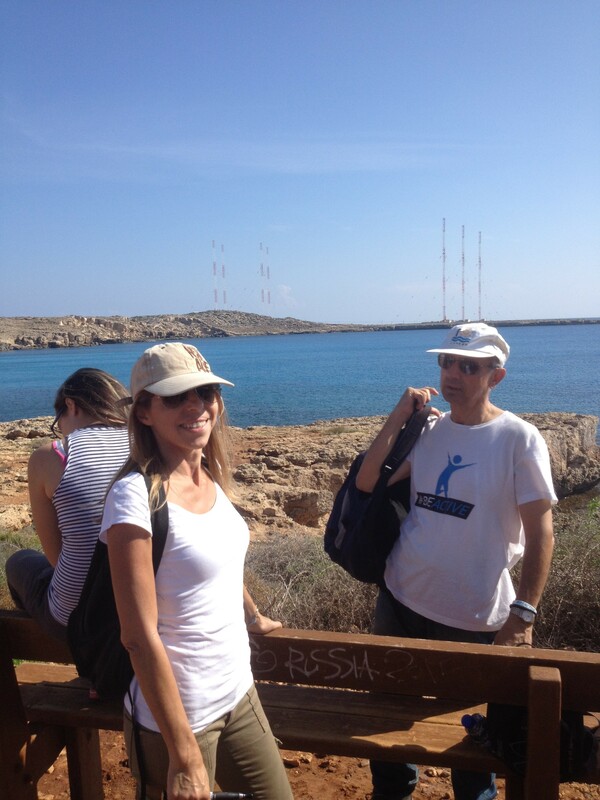 The excursion to Thalassines Spilies (Sea Caves) and Cape Greco on Saturday 31 October took place in full sunshine, and followed a path along the coast, with the sea very inviting in its turquoise colours. 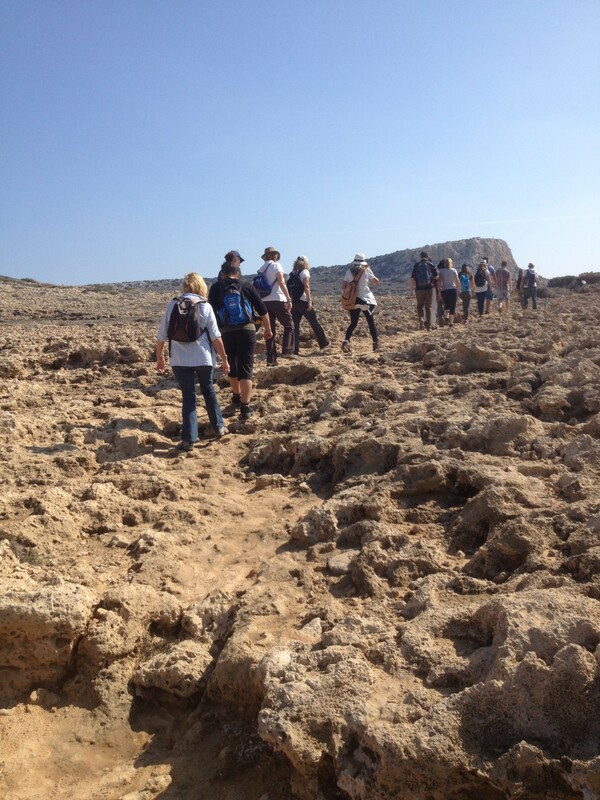 The group enjoyed many aspects, the visit to the coastal church of Agioi Anargyroi, as well as the picnic. The walk Leader had arranged everything nicely, with the epitomy being the Pirate Boat which entered the Sea Caves bay coincidentally with the Strollers! Compliments to Koula for the photos. See you on Sunday 8 Nov. at Atalanti.